I really like the detail in the back of this playsuit.. I went for a natural pinkish makeup look (if that makes sense) I wore; Revlon Photoready foundation with Bare Minerals in Medium Beige over the top. I wore MAC Stay Pretty, A brown eyeshadow with black eyeliner on top and bottom, and Lloreal Million lashes. I wore my fave pink lipstick from Revlon in Pink Blush. Oooh pretty, I love this! Your hair is gorgeous too! Good pick, the colour really suits you too! Is the playsuit the style with shorts or pants? I can't really tell from the photos. It looks very cute though. That playsuit is beautiful! Great post! 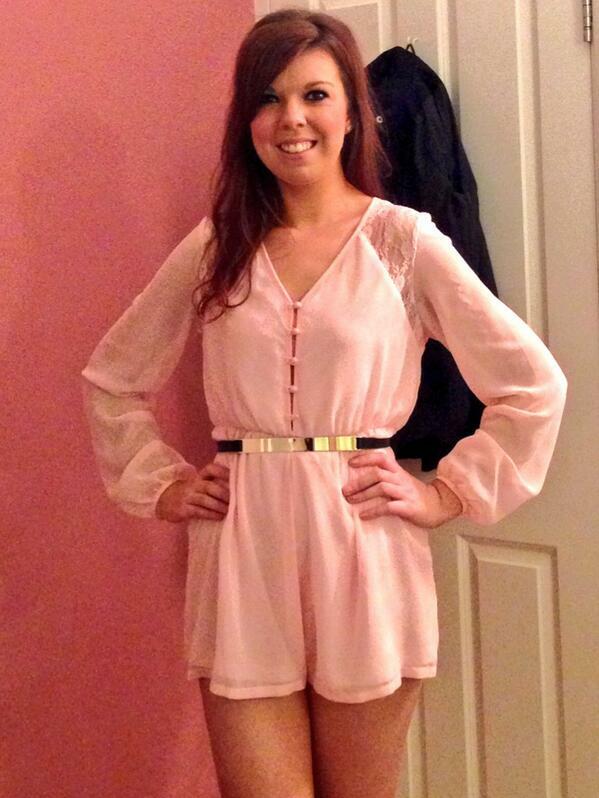 That playsuit is amazing, it looks so good on you! Lovellyyy! I love a playsuit too. I love playsuit and don't need to buy anymore but this one is so pretty. That playsuit is so so pretty! this color is so you :) i feel like it suits your complexion and hair color very well, pretty! So cute! I really love the color, and it looks really great on you!